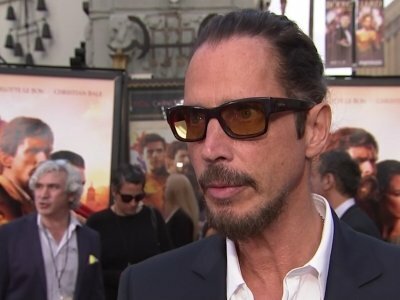 DETROIT (AP) — Chris Cornell, one of the most lauded and respected contemporary lead singers in rock music with his bands Soundgarden and Audioslave, hanged himself Wednesday in a Detroit hotel room, according to the city’s medical examiner. He was 52. The Wayne County Medical Examiner’s Office said Thursday it completed the preliminary autopsy on Cornell, but that “a full autopsy report has not yet been completed.” A police spokesman told two Detroit newspapers that the singer was found with a band around his neck. Cornell’s death stunned his family and his die-hard fans, who Cornell just performed for hours earlier at a show in Detroit. Soundgarden’s current tour kicked off in late April and was planned to run through May 27. He was found dead at the MGM Grand Detroit hotel by a family friend who went to his room after Cornell’s wife asked him to check on the singer, police said. Cornell was a leader of the grunge movement with Seattle-based Soundgarden — with whom he gained critical and commercial acclaim — but also found success outside the band with other projects, including Audioslave, Temple of the Dog as well as solo albums. He was widely respected in the music industry: He reached success in every band lineup he was part of it, his voice was memorable and powerful, and he was a skilled songwriter, even collaborating on a number of film soundtracks, including the James Bond theme song for 2006′s “Casino Royale” and “The Keeper” from the film “Machine Gun Preacher,” which earned Cornell a Golden Globe nomination. Cornell, who grew up in Seattle, said he started using drugs at age 13 and was kicked out of school at 15. “That was the toughest time in my life,” he told Rolling Stone. The band, which had released hit songs and found success, marked a mainstream breakthrough with “Superunknown,” its 1994 album that won them two Grammys, sold more than five million units in the U.S., and launched five hits, including “Black Hole Sun,” one of the most popular alternative rock songs from the 1990s. In 2001, Cornell joined Audioslave, a supergroup that included former Rage Against the Machine members Tom Morello, Brad Wilk and Tim Commerford. The band released three albums in six years and also performed at a concert billed as Cuba’s first outdoor rock concert by an American band, though some Cuban artists have disputed that claim. Cornell also collaborated with members of what would become Pearl Jam to form Temple of the Dog, which produced a self-titled album in 1991 in tribute to friend Andrew Wood, former frontman of Mother Love Bone. In 2011, Cornell was ranked ninth on Rolling Stone list of the best lead singers of all-time, selected by its readers. He also released solo albums, and Nielsen Music said as a band member and solo act, the singer sold almost 15 million albums and 8.8 million digital songs in the U.S.
“It was a pretty dark album lyrically and pretty depressing, and I was going through a really difficult time in my life — my band wasn’t together anymore, my marriage was falling apart and I was dealing with it by drinking way too much, and that has its own problems, particularly with depression,” he told Rolling Stone in 2015. KEXP, Seattle’s popular independent radio station, paid tribute to Cornell throughout Thursday morning. The station played non-stop songs from Soundgarden and Cornell’s other bands and solo work, as well as artists who covered Cornell’s material and those who were influenced by him. “Seattle’s son, Chris Cornell, has passed away,” DJ John Richards told listeners. Fekadu reported from New York. AP Entertainment Writer Nekesa Mumbi Moody and Associated Press writers Dennis Waszak in New York and David Runk in Detroit contributed to this report.